1967 (Ford Mustang) - $700.00 or best offer. 1974 (**All Others** ) - Three only F70-14 Goodyear Poly Glas Tires!!!!! 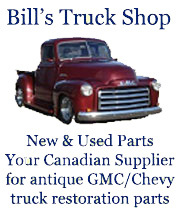 1982-1982 (Chevy Malibu Classic) - (Looking For) Differential gears or assy 26 spline ? 1931 (Dodge DH) - (Looking For) Carburator or Carb kit or "needle and seat"
1954 (Ford ) - 1954 Ford Bumper accessories $400. 1958-1958 (Pontiac ) - New,1958 Pontiac Front Fenders L/H and R/H $500 for each, $1000 for both, or nearest. 1990-1993 (Pontiac firefly/geo metro co) - (Looking For) weather stripping ?